Smith Hill [mp3] Deer Tick‘s still out on the road, playing songs from their latest, Born On Flag Day, with some great shows ahead, including opening dates for Neko Case. A couple of Southern California shows cancelled. Check all tour dates HERE. 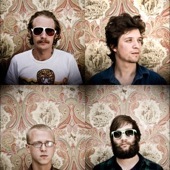 Previous Deer Tick (with mp3s).